HealthifyMe is India’s first platform in quantified-self space. HealthifyMe developed the world’s first Indian food & nutrition database consisting of regional food in multiple languages. 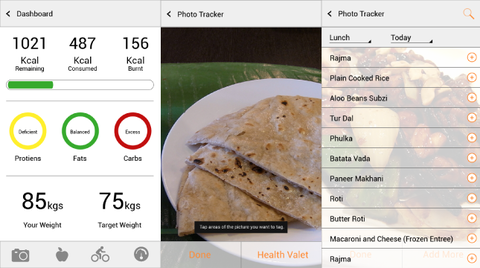 It allows users to continuously monitor their food intake, set goals and monitor progress towards these goals. Users can reflect on these trends over an extended period of time, and draw actionable conclusions. Responsible for making the first version of Healthifyme flagship android app single-handedly and handled all aspects of that independently. 1. Secured food database which was IP for the company and could not be risked to be lost to competitors. 2. Designed and developed REST Client Architecture : efficient data synchronization mechanism between server and device and designed the android SQLite database. 4. Implemented Health Valet services to allow users to click picture to log food. Software Developer & Designer in early stage startup.